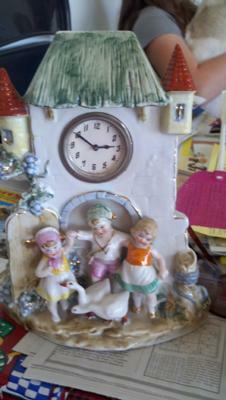 I got this clock this weekend at an estate sale. I have no idea what kind it is or even how old it is. I just knew it called my name and I had to have it. I didn't pay much at all for it and I didn't buy it because I thought it would be worth a lot... I just liked it. However, I would love to know more about it. Can anyone help?